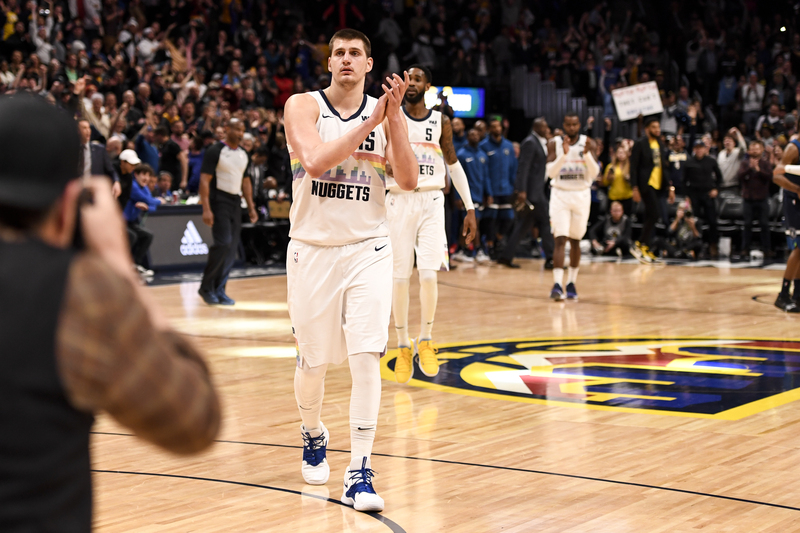 This entry was posted in NBA and tagged Basketball, Demar Derozan, Denver Nuggets, Gregg Popovich, Jamal Murray, LaMarcus Aldridge, Malik Beasley, Monte Morris, NBA, NBA Playoffs, Nikola Jokic, Paul Millsap, San Antonio Spurs on April 13, 2019 by gotzach18. As a basketball fan, I’ve always found the NBA All-Star Weekend to be one of the more interesting times of the year. It allows me to watch the top talents of the league play without putting me in a position to seriously root for or against either team. It puts all of the league’s best players in a one-game situation where it’s the best of the best against the best of the best. It immortalizes otherwise-forgotten players such as Jason Kapono and Jeremy Evans through the Three-Point Contest and the Slam Dunk Contest. But perhaps the most important thing it does is recognize, in a semi-official capacity, who the best standout performers in the NBA are in any given season. This entry was posted in NBA and tagged Anthony Davis, Basketball, Damian Lillard, Karl-Anthony Towns, Klay Thompson, LaMarcus Aldridge, NBA, NBA All-Star Game, NBA All-Star Weekend, Nikola Jokic, Rudy Gobert, Russell Westbrook, Tobias Harris on February 1, 2019 by Josh Elias. Welcome Back, Hoop heads! We take a deeper look into some of the must-see games this week. Stay tuned! With Monday having a full slate of games on MLK Day, I wanted to take a look at some of the other most intriguing matchups this week as we are close to the end of January and are gearing up toward the All-Star break in a few weeks. This entry was posted in NBA and tagged Andrew Wiggins, Basketball, Ben Simmons, Boston Celtics, Demar Derozan, DeMarcus Cousins, Derrick Rose, Donovan Mitchell, Giannis Antetokounmpo, Golden State Warriors, Gregg Popovich, Jimmy Butler, Joel Embiid, Karl-Anthony Towns, Kyrie Irving, LaMarcus Aldridge, Milwaukee Bucks, Minnesota Timberwolves, NBA, Oklahoma City Thunder, Paul George, Philadelphia 76ers, Russell Westbrook, San Antonio Spurs, Utah Jazz on January 24, 2019 by Treal Holland II. With the departure of Kawhi Leonard, Tony Parker, and Manu Ginobili, the Spurs are going into the 2018-2019 NBA season missing three big pieces. Will the Spurs match up with the super teams of the Western Conference, let alone make a playoff run? This entry was posted in NBA and tagged Basketball, Kawhi Leonard, LaMarcus Aldridge, Manu Ginobili, NBA, NBA Team Preview, San Antonio Spurs, Tony Parker on September 28, 2018 by Liam Romero.